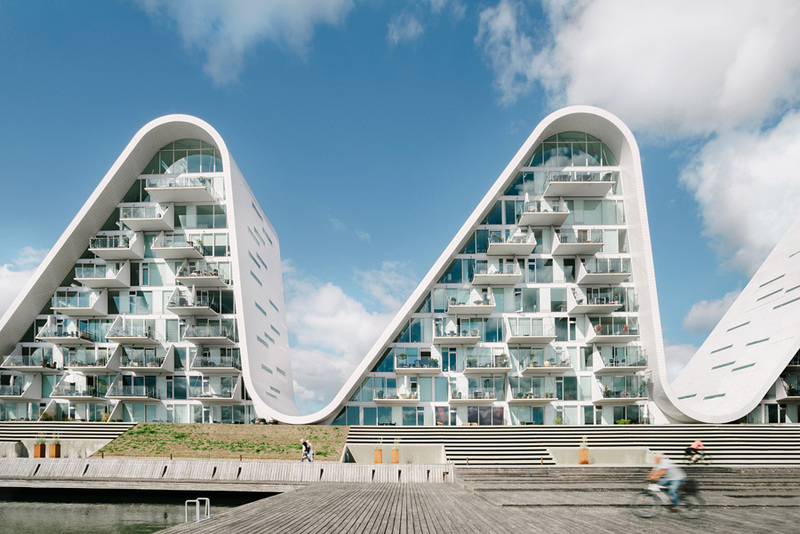 Henning Larsen has completed The Wave, a residential project on the Vejle Fjord in Denmark, according to the original vision of the practice’s late founder. The opening of the building marks the end of an 11-year construction process, which began in 2006. For years just two of the project’s five residential towers stood complete, after the 2008 global financial crisis halted construction. Work resumed in 2015, two years after Henning Larsen’s death in June 2013. 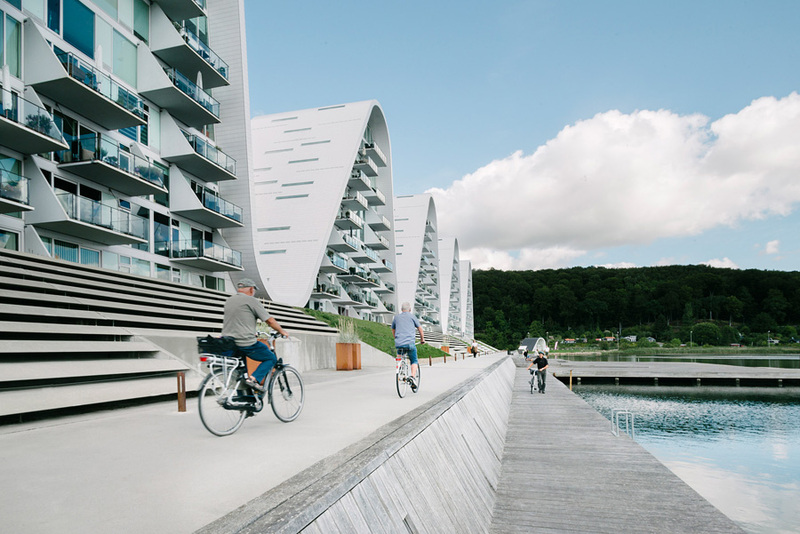 Now the founder’s original vision for the project is complete, with the full complement of five crests running rollercoaster-like along the waterfront. 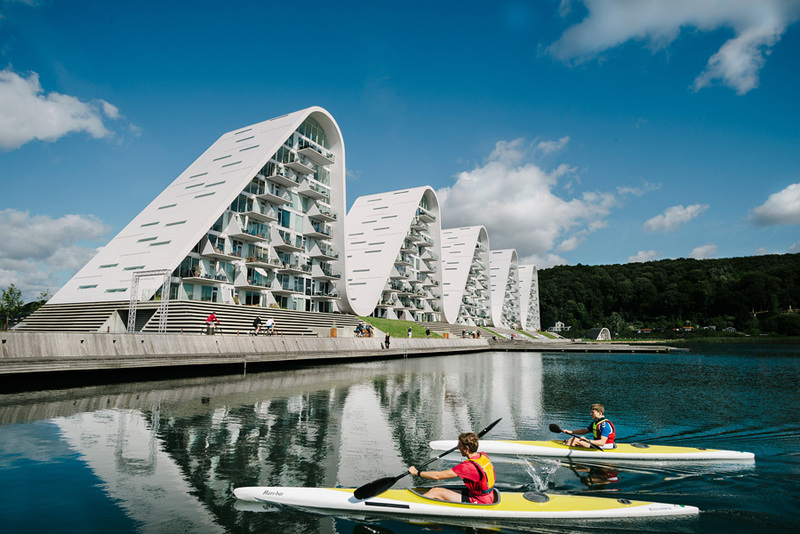 The Wave was designed as a new landmark for the town of Vejle in Jutland, and incorporates a public promenade along its eastern edge. 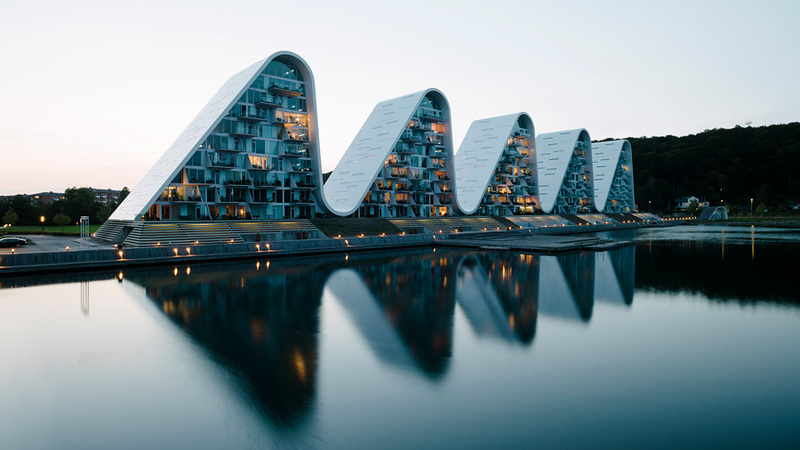 In is near the Olafur Eliasson-designed Fjordenhus, which is the headquarters of Kirk Kapital. With a total area of 14,000 square metres, the scheme has 100 has apartments. Each tower has nine floors, the highest of which is a double-height penthouse apartment. 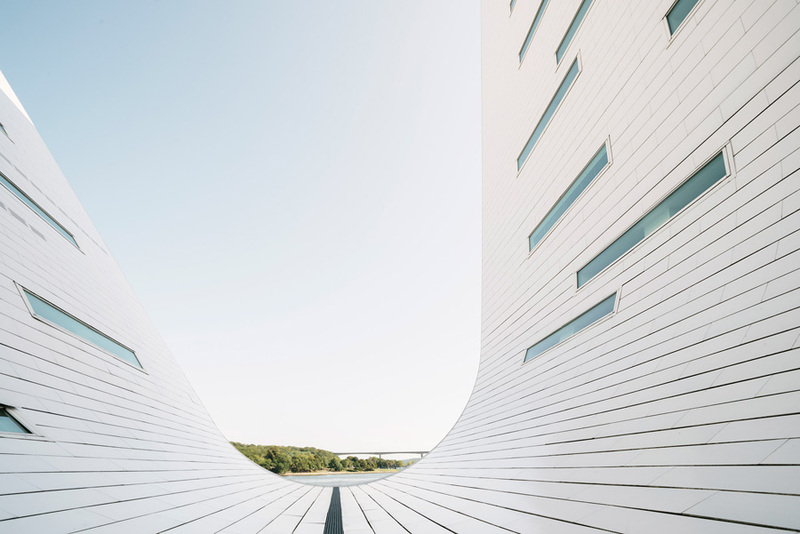 The “wave” itself is formed using panels of terracotta rainscreen cladding, providing the roof for each tower with what looks – from a distance – like a continuous white sheet. 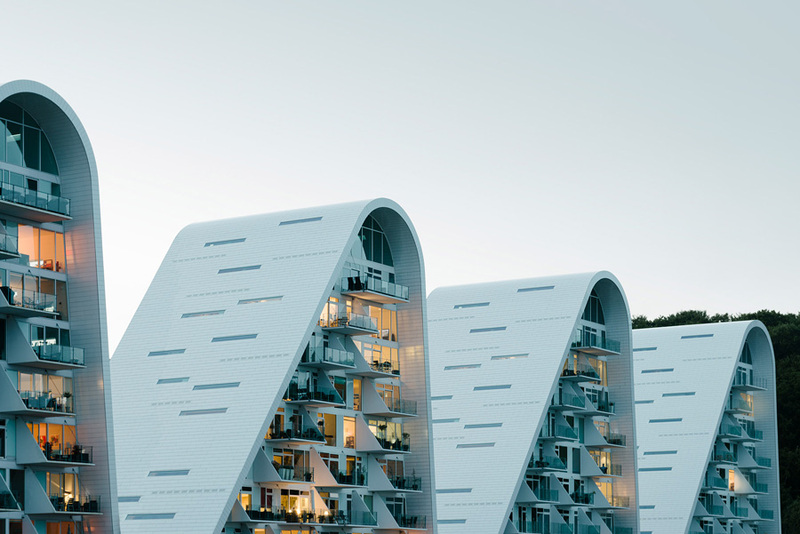 The lip of this wave creates an eave over the largely glazed facades, articulated with balconies for each apartment that are separated by privacy screens. Thin picture windows bring light into the apartments and form skylights on the top floors. Beneath each tower, a large set of steps leads down to a public walkway, which then connects to a wooden decked area and small landing area for access out onto the water. 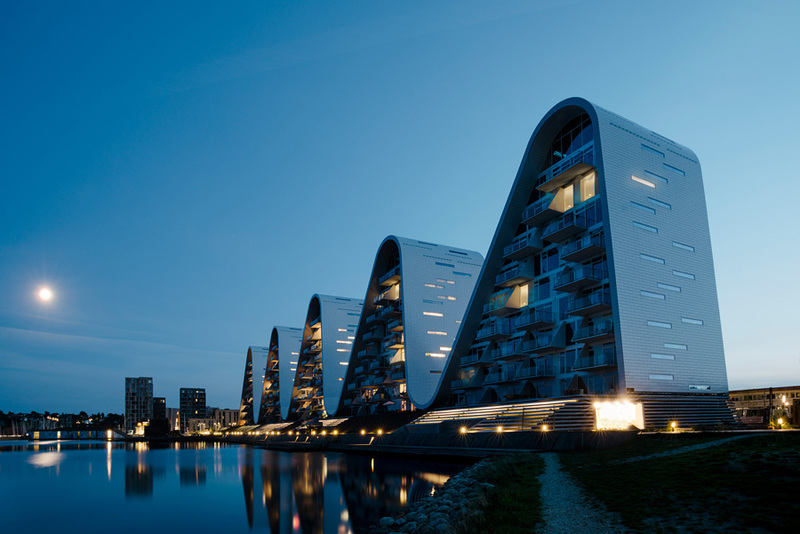 Even when only partially complete, the project was awarded Residential Building of the Year by Danish magazine Byggeri in 2009, an ABB LEAF award for innovative architecture in 2012, and a Civic Trust Award in 2013. Also don’t forget to check Curve Appeal 3D-Printed House.